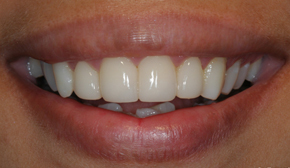 A Porcelain veneer is a wafer thin shell of porcelain (0.3-0.4mm) that once bonded to the tooth with special adhesive resins becomes an integral part of the tooth and as strong as the natural tooth itself. 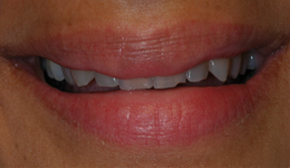 The Porcelain veneer is the closest that comes to mimicking your enamel in terms of beauty and strength. 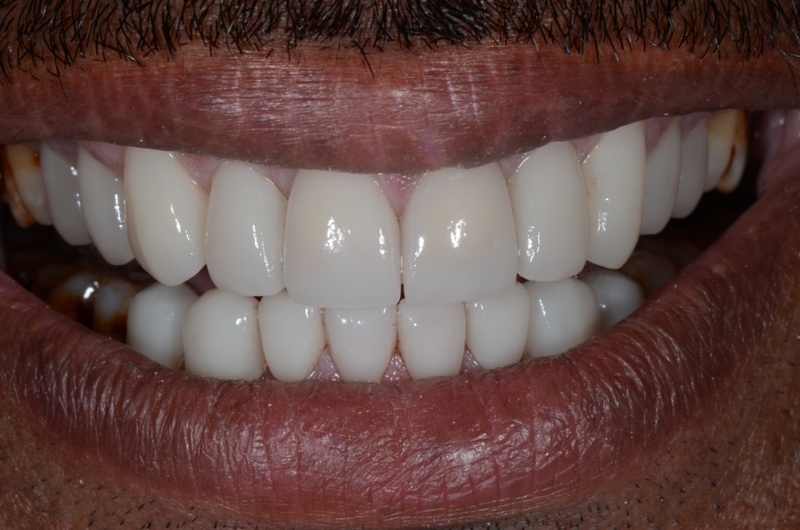 Bonding to enamel is best and most reliable and whenever in India or abroad , Dr. Turner and team lecture at conferences or conduct porcelain Veneer workshops they cannot stress more on the fact that no prep to minimal prep of the tooth is the best way to go for the longevity of the Veneers. 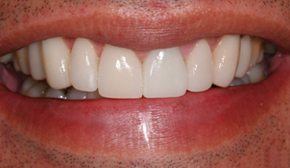 Infact they have a patent on an ultra thin Veneers they call SLIMEERS which is absolutely exclusive to their practice fabricated by their dental technological Center ONLY for their clients. 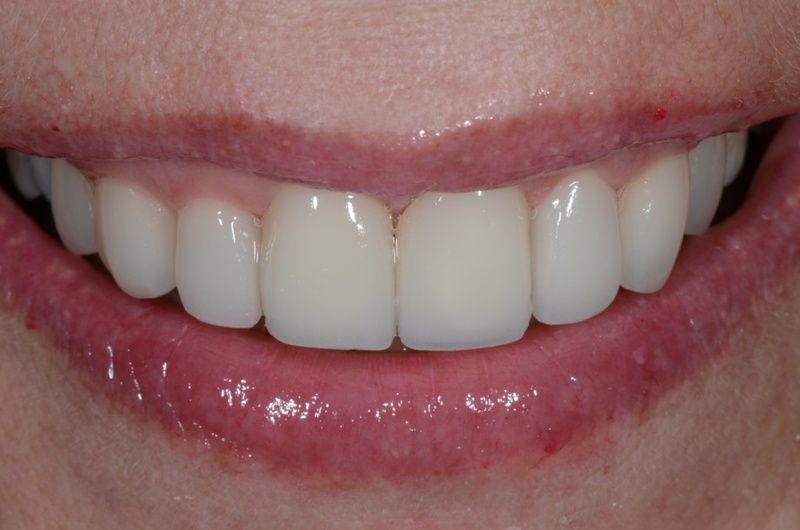 Placement of porcelain veneers is one that requires the skill, precision, and artistry of a talented cosmetic dentist and the dental technologist that fabricates the Veneers. 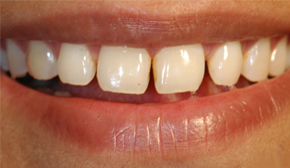 The entire process will be completed in as little as 2 dental sittings. 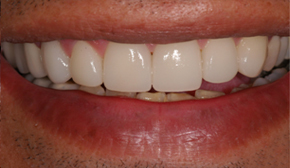 In the first visit, we will first plan your smile by determining what size, shape, and type of veneer will best complement your smile, face shape, and aesthetic desires. We will take pictures and study models to study your case. That day itself we shall prepare your teeth for the final Veneers and take impressions that we shall be sending to our state of the art Dental technological Laboratory .This we believe sets our practice apart from the rest. 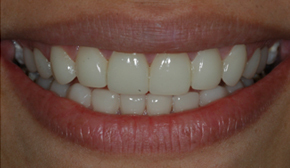 We have a synergistic advantage in planning the best outcome of your final smile since Mr. Danesh our technologist is by our side colour matching , deciding the shape, size and the smile line and contours of your new smile. 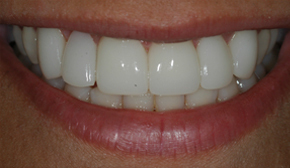 On your second visit the final veneers will be permanently bonded to your teeth with special dental adhesive resins . 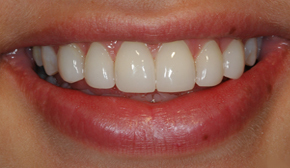 This is the final step in your smile transformation, and you can leave our office with a brand new, beautiful smile. Man is a social being. 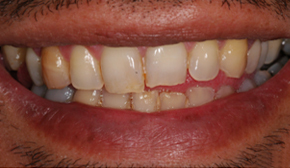 Today some of our patients cannot afford to go through a year and a half or more of orthodontic treatment (Wires and Braces) to correct their crooked and irregular teeth because of their work commitments as well as social obligations. 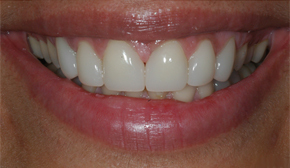 Porcelain laminate veneers come along just in time to ensure the felt needs and wants of these patients. 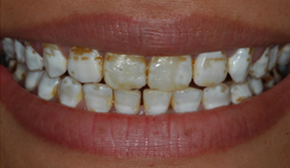 The glass-like ceramic that forms porcelain veneers closely resembles natural tooth enamel. 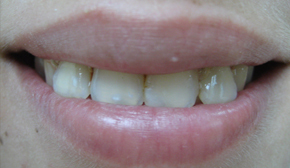 This is because, much like real tooth enamel, porcelain veneers are translucent. 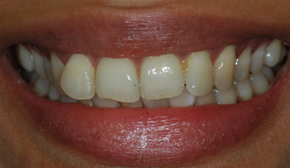 When light strikes a natural tooth?s surface, it is not immediately reflected off. 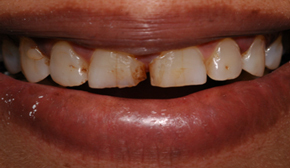 Instead, it penetrates the tooth enamel and reflects off the opaque tooth dentin that lies just beneath. The amount of reduction required is ultra conservative and minimal, as the thickness of the PLVs can be kept to a minimal of just 0.3 mm. 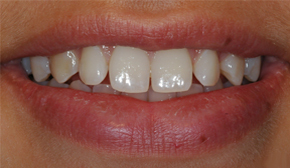 Studies have shown that once bonded to minimal prepared teeth the veneers become as strong as the natural teeth. 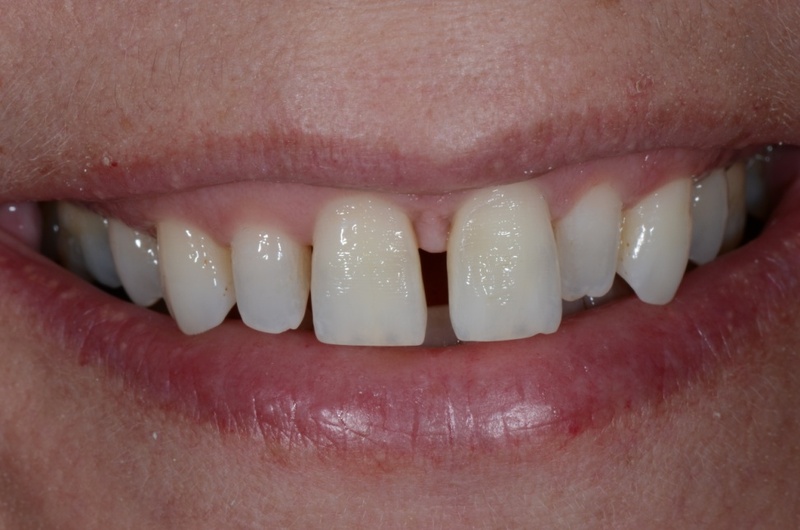 The PLV has a highly polished, non-porous, glazed surface which prevents and deters plaque accumulation. 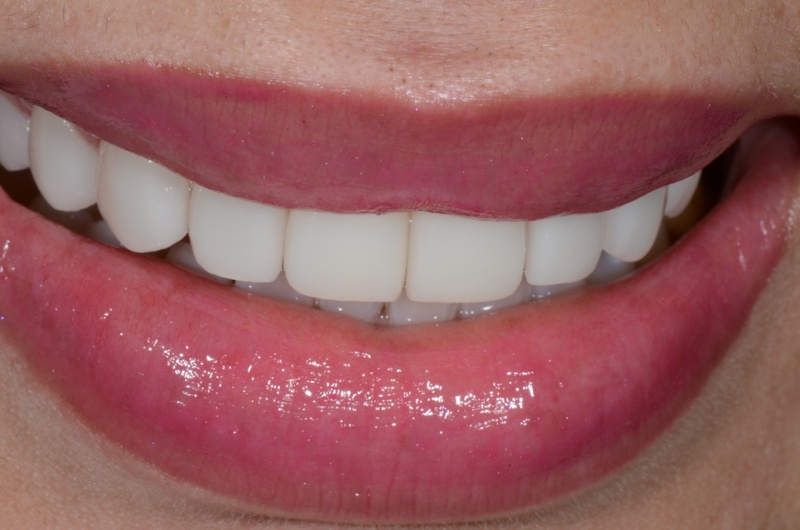 This allows the gums around your veneers to stay in the ‘Pink’ of health. 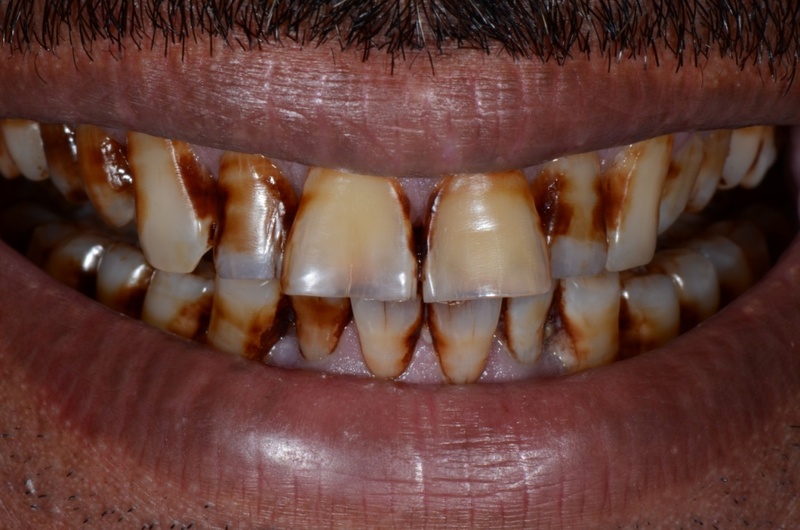 Studies and research has shown that the bacterial activity and vitality around veneers decreases and the health of the gums thereby increases?even more than you own natural enamel. 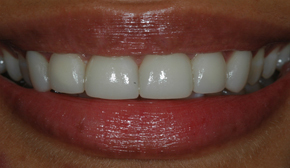 1.They are abrasion resistant , and never ever discolour or stain. The surface texture remains the same . 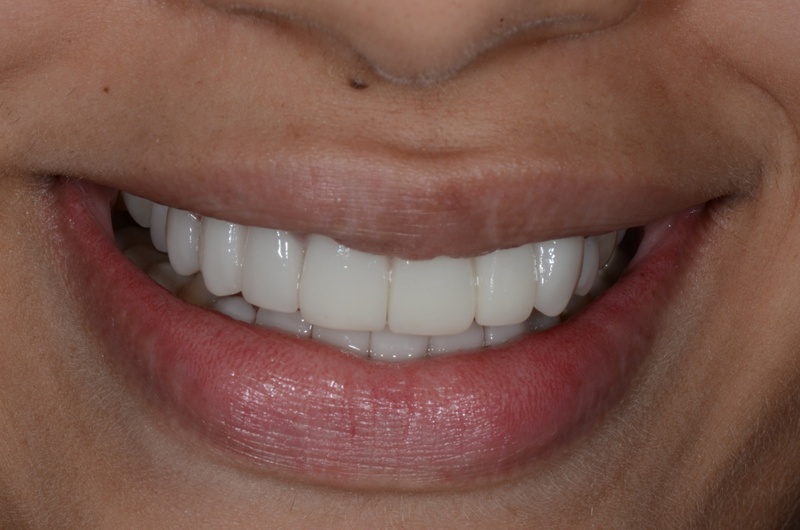 3.The PLVs have a contact lens effect hence merging into the tooth so one cannot distinguish the laminate from your natural tooth; therein lies the beauty of your bonded veneers. Cergo Press Kiss Dentsply (Germany). 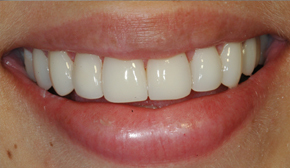 The Procera Alumina veneers are very strong but are not as translucent as the Pressed veneers. 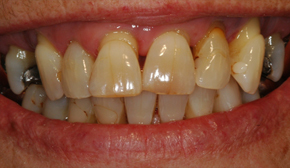 They are specifically used to mask extremely stained or discoloured teeth. 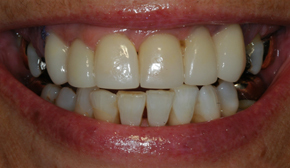 Minimal Intervention Of The Natural Teeth For Ceramic Veneers Is The Key To The Success And Longevity Of Your Smile! 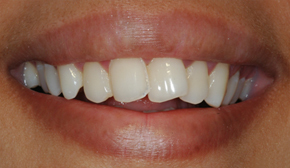 Porcelain Laminate Veneers Are Wafer Thin , Translucent, Custom Made Shells Of Porcelain ( Tooth Coloured Material) Designed To Cover The Front Surface Of Your Teeth. They Are 0.5 To 0.6 Mm Thick. 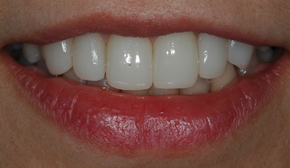 They Resist Staining And Are Astoundingly Life, Since They Mimic The Natural Tooth Light Reflecting Properties. 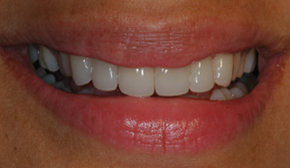 A Smile That Appears Tooth Less And Gives A Premature Edentulous Look Defying A Persons Youthful Appearance Will Definitely Benefit A Smilemakeover With Veneers. 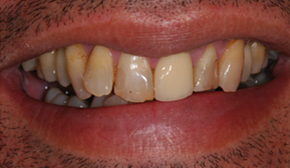 They Are Used To Transform Teeth That Are Dicoloured , Teeth That Worn Down Due To Attrition Or Grinding, Chipped Or Broken Teeth, Teeth With Gaps In Between , Malaligned Teeth. 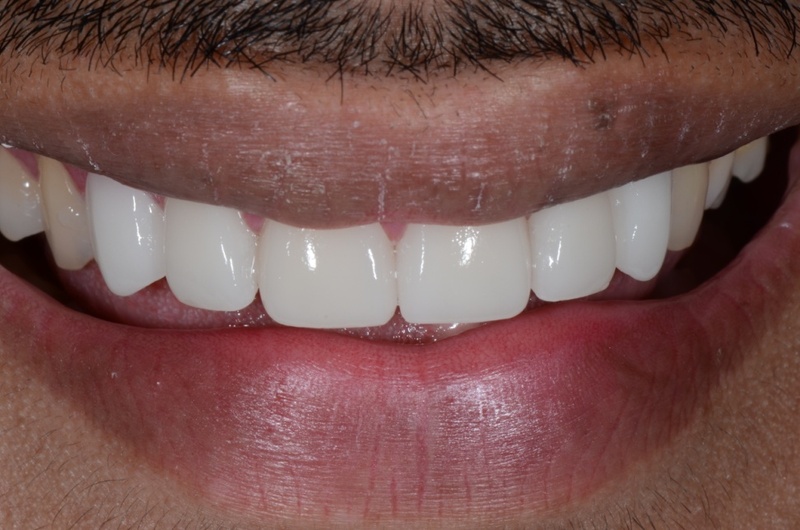 Veneers Are Chemically Bonded To The Tooth Surface.Pocelain By Itself Is Brittle But When Bonded To Tooth It Creates A Very Strong And Durable Surface Which Can Resist All The Wear And Tear It Is Subjected To Tooth Bond Can Even Rival The Natural Enamel To Dentin Bond! 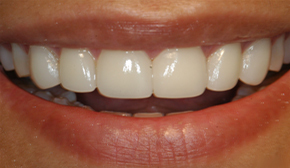 Porcelain Laminate Veneers Can Lasts For 15 Years And Above. 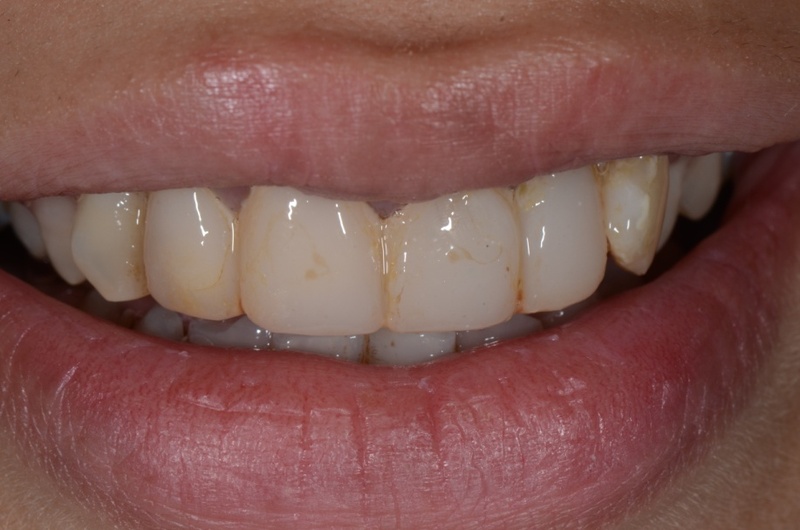 It Prevents Formation Of Any New Cavities Below Or Adjacent To Them And Since They Are Highly Glazed And Polished They Do Not Harbour Any Plaque On Them. They Do Not Require Any Special Care, Just The Normal Oral Hygiene Practices Like Brushing And Flossing Is Enough To Keep Them Clean. 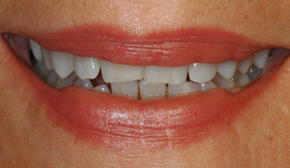 To Get Dental Veneers, Two Dental Office Appointments Is All That’s Needed. 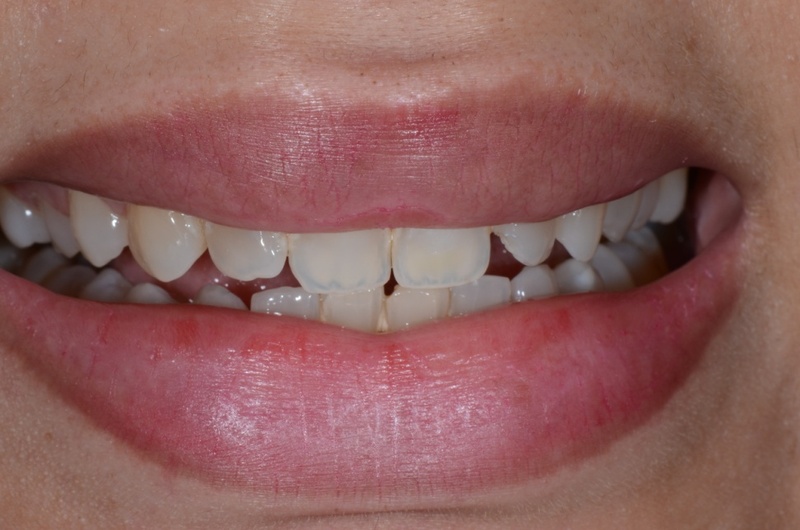 The First One Is For Diagnosis And Treatment Planning And Preparation Of The Teeth To Receive The VeneersTemporary Veneers Are Given On That Itself For The Patient To Visualize The Treatment Outcome. 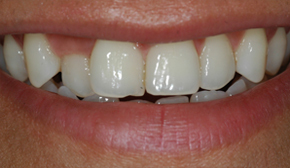 After About 7 Days, The Cutom Made Porcelain Laminate Veneers Which Are Cutomized And Precisely Made With Digital Cad-Cam Technology At Our In House, State Of The Art Dental Lab, Are Bonded Permanenetly To Your Teeth. 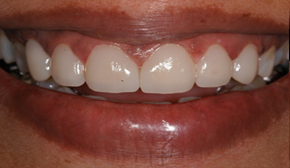 The Entire Procedure Is Pain Free, Not Requiring Any Anesthesia. 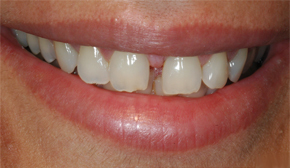 Veneers Offer A Conservative Approach To Change The Smile. 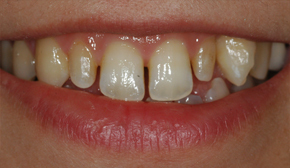 It Is Minimally Invasive And Requires Tooth Preparation Only Limited To The Tooth Enamel. 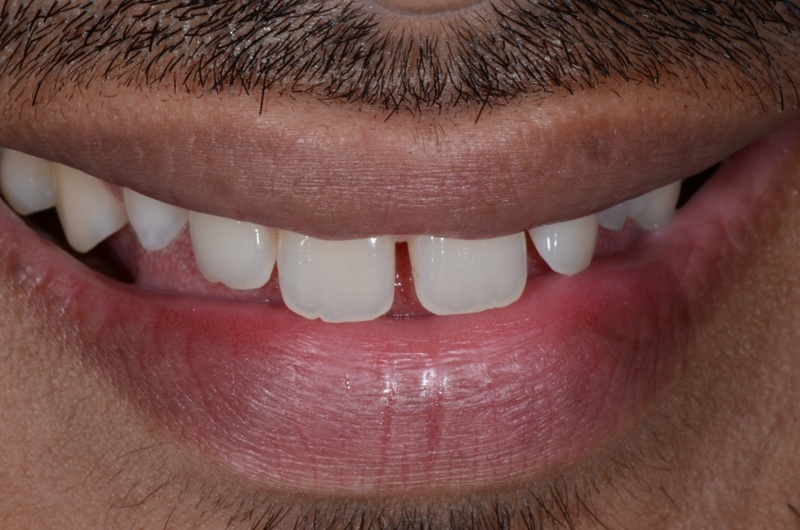 Every Tooth In A Mans Head Is More Valuable Than A Sparkling Diamond. 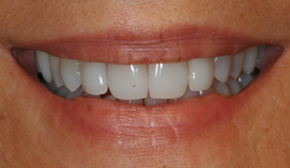 We live in a beauty centric society and Porcelain veneers have come along just in time to meet the felt needs and wants of our patients who perceive an attractive smile no longer as a luxury but a necessary part of their lifestyles.